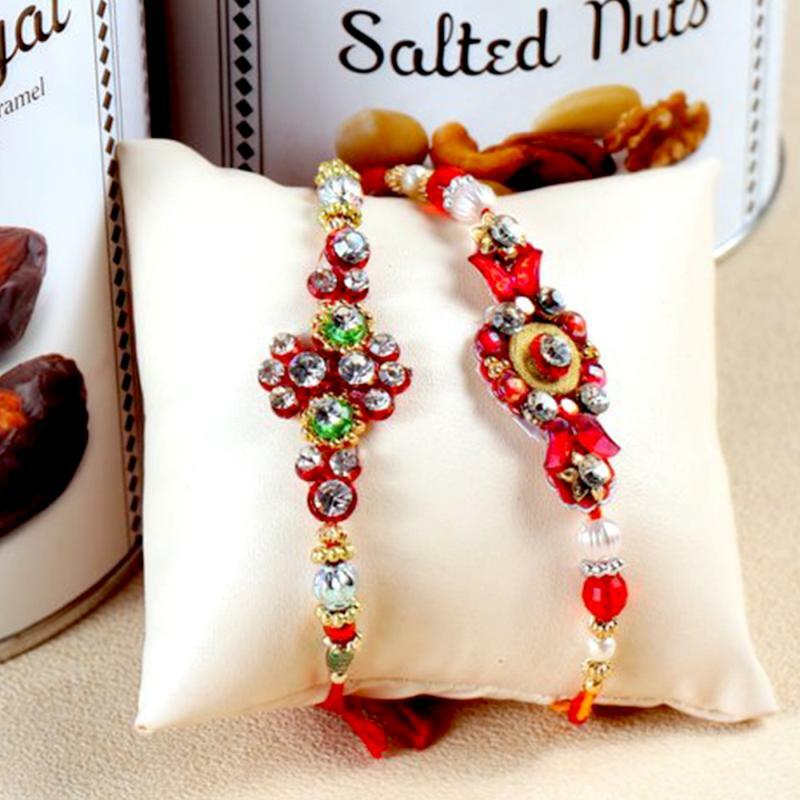 Send wishes for your adorable bhaiya with this beautiful rakhis along with chocolate and nuts combo is sure to make them feel very special and loved and also make them realize how important they are for you. 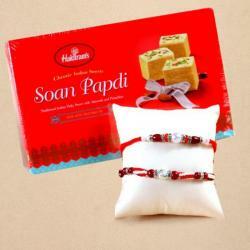 This combo comprises of two beautiful stone worked rakhis, which simply fantastic. 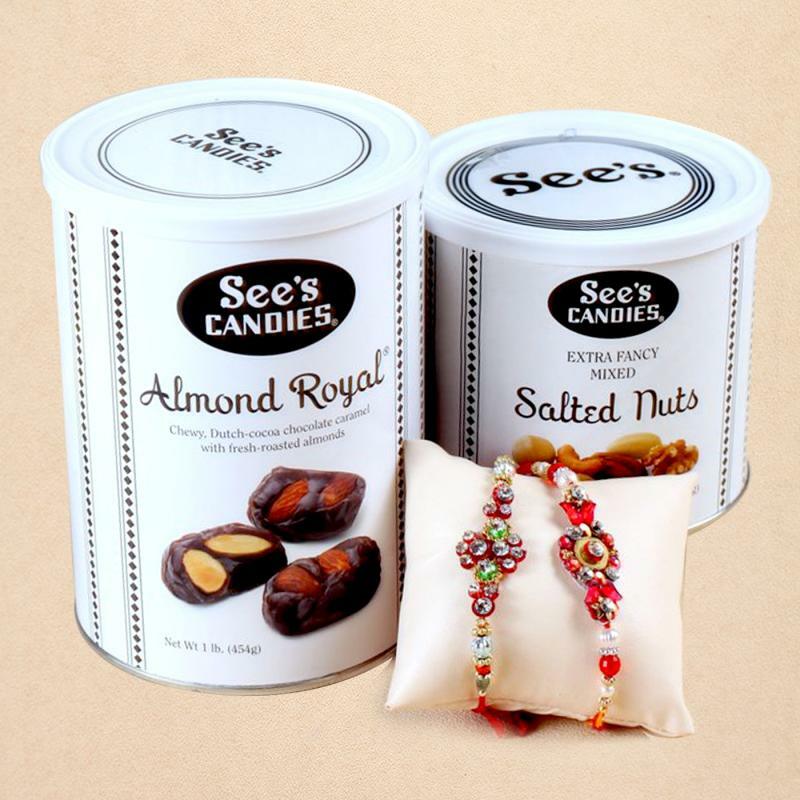 The use of different and colors and stones has been done in a very trending way, along with this the combo also includes Sees Almond Royal Chocolates and Sees Fancy Mixed Salted Nuts. 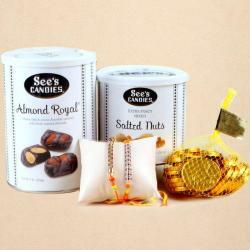 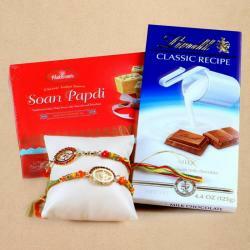 Product Details: Set of 2 Rakhis with See's Almond Royal chocolate 450 Gms and Sees extra fancy mixed salted nuts 340 Gms.